Trinity Church Day School celebrated its 50th birthday in September of 2007. The school began as a playgroup for the children in this area over fifty years ago. Trinity school officially opened its door as a Day School in 1957. Since then Trinity’s reputation as a highly respected, quality school has remained a constant. Trinity Church Day School, educating approximately 100 students each year, emphasizes spiritual, social, emotional, intellectual and physical development and values each child as a unique individual. 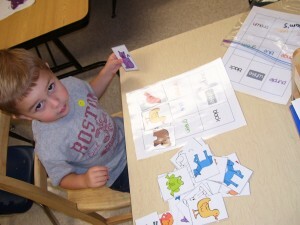 Trinity Church Day School currently offers educational opportunity for ages two through kindergarten. 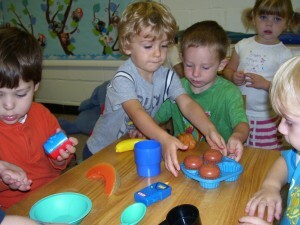 Everyone affiliated with Trinity Church Day School is pleased that the school continues to maintain its reputation as one of the premier preschools in the community. As we continue to attract an ever increasing number of families and due in part to new regulations from the Office of Child Care, the school was proud to announce the opening of a new wing to our building in November of 2009. The new addition houses four new classrooms and a large, bright multi-purpose room.